Don’t you wish that you didn’t have to go through the hard parts of life alone? Wouldn’t it be nice if there were a way for someone to coach you through the things you can’t understand or confront? Luckily, when you’re going through divorce, you don’t have to with for a coach; you can actually get one. 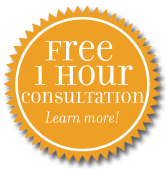 At Johnson Mediation, we specialize in helping make divorce as easy as possible, in any way we can; that includes offering divorce coach help. 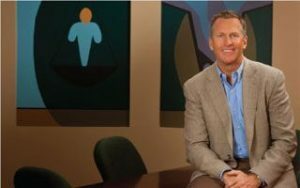 What’s important to know about our Chanhassen, MN divorce coach? When you’re working with someone brand new to help you not only dissolve but move forward from your marriage, you want to know you’ll be comfortable working with your coach. If you’re looking for a male divorce coach near you, Jeff may be who you need. Though none of these challenges is easy to face, facing them alone is as hard as it gets. With a coach by your side to provide emotional and legal support, you can make the decisions you need to with the help of someone who can offer guidance. As you’re going through your divorce, you’re often thinking at least a bit about you’re your life will be like after the divorce is finalized. You can get a glimpse based on the agreement you create, understanding how property division and alimony will affect your immediate future, but you may not be prepared to think about the challenges you may likely face after your divorce. For many divorcing couples, divorce means building entirely new, separate lives. That’s much easier said than done. But with the help of a divorce coach, you can begin to set goals for your future and actually meet them through timely, actionable steps that make sense for you and your new lifestyle. To get help meeting the challenges of your divorce head-on with a male divorce coach, contact Johnson Mediation today at (952) 401-7599 or jeff.johnson@johnson-mediation.com. Our Chanhassen, Minnesota divorce coach Jeff will be happy to help you start facing your past and planning your future. Copyright © 2019 Johnson Mediation. All Rights Reserved.